One of my favorite things to do in Chicago is eat. You can find just about any type of food you’re craving. 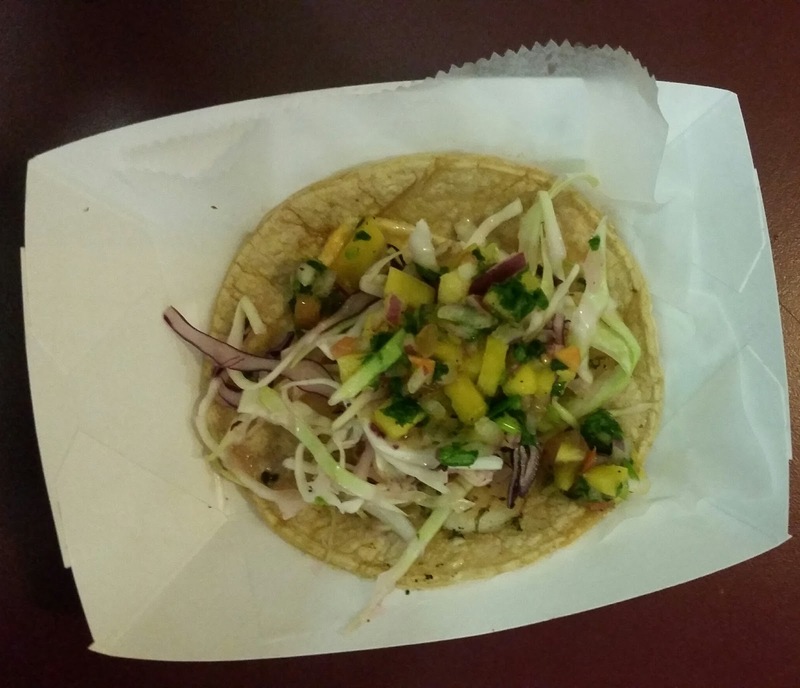 If you’re vegetarian or pescatarian, you don’t have to worry about finding dining options that suit your diet. I have found plenty of tasty meals, many of them for cheap, on the North Side of Chicago. 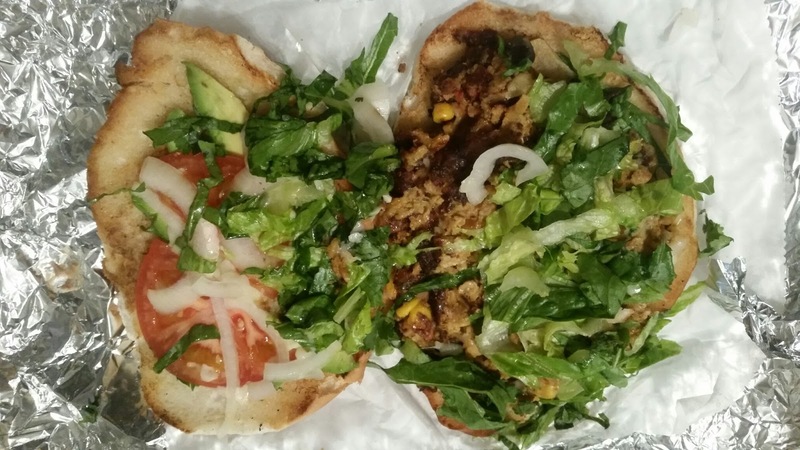 Veggie torta takeout from Vince’s Pizzeria and Taqueria on Devon Avenue. 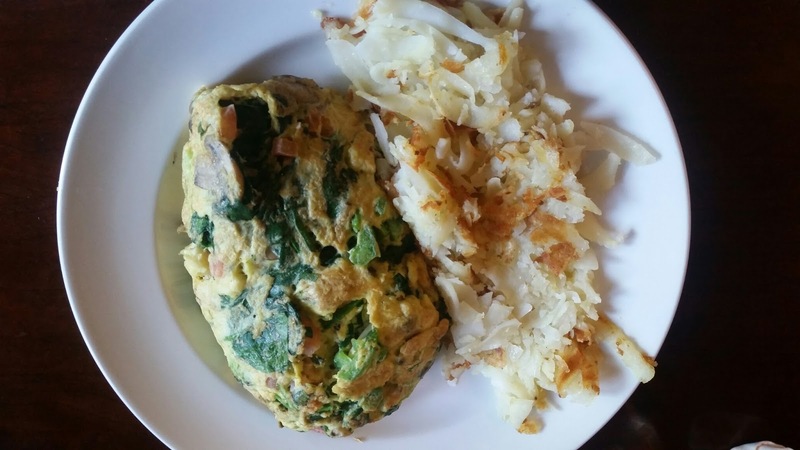 Veggie omelet (broccoli, cauliflower, green bell peppers, tomatoes, spinach, mushrooms, zucchini and cheese) with hashbrowns and toast (not pictured) from Nookies Edgewater on Bryn Mawr Avenue. 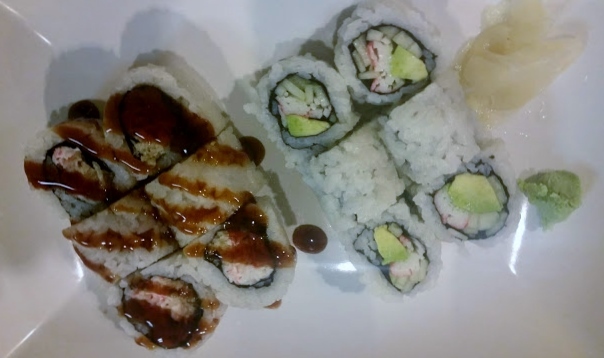 Sushi from Rice Thai on Sheridan Avenue in Rogers Park. 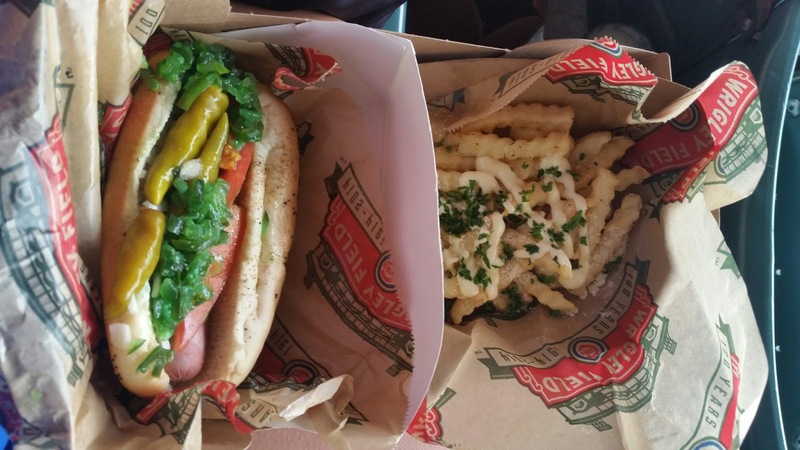 Veggie Chicago-style hot dog and garlic Parmesan fries at Wrigley Field. 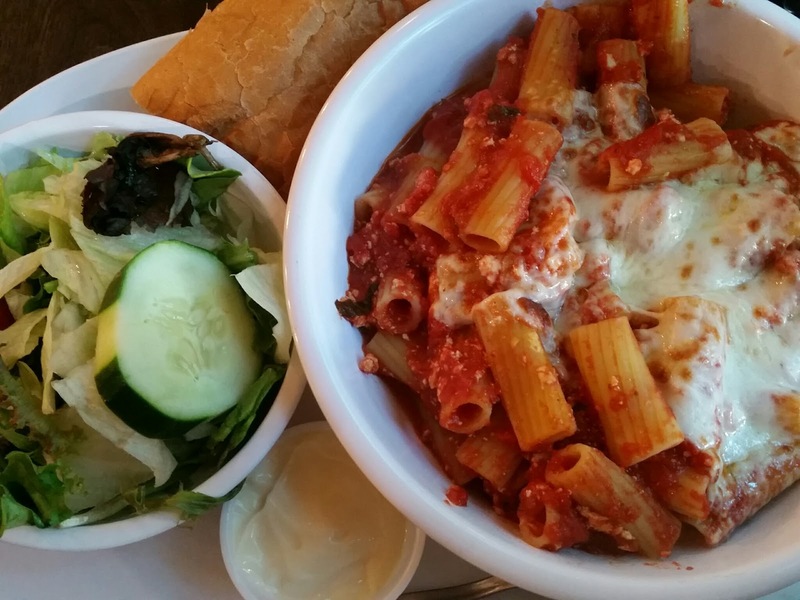 Baked ziti and a salad from Pete’s Pizza on Granville Avenue in Edgewater. 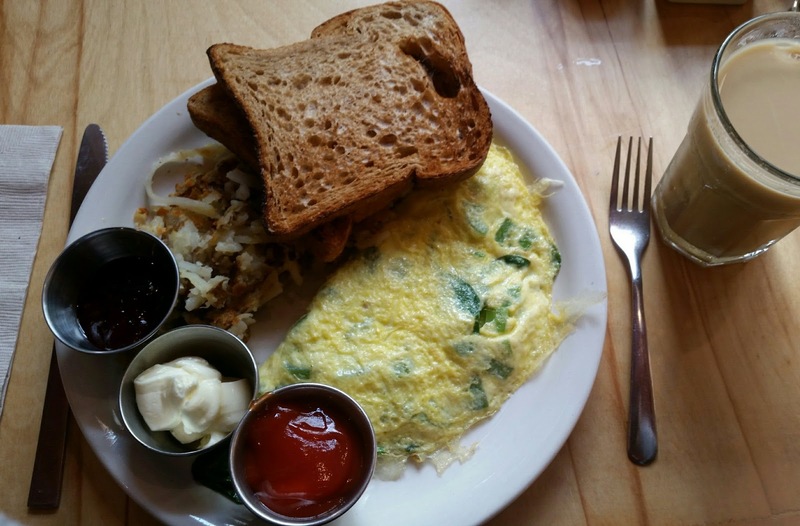 Spinach, green bell pepper and jalapeño omelet, wheat toast and hashbrowns from Heartland Cafe in Rogers Park. I’m always looking for affordable and delicious dining options in Chicago. Send any recommendations my way!